Create some colourful and vibrant pictures using a special inside-out technique. 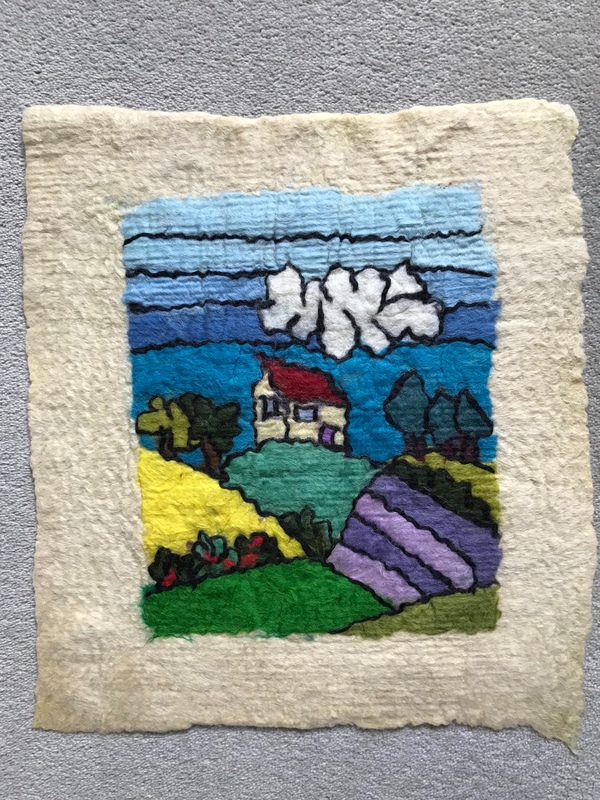 This course will give you the ability to turn a picture or design into a lovely piece of textile art. Using vibrant merino wool and the wet felting technique it is an easy process which creates a stunning image. This method can also be used with children to magically turn their drawings into long lasting felt pictures.